personal development and the matrix of models and references, i.e., the foundation that manages to support its members. It is also the primary source of socialization and bonding. The study of the importance of the family to understand people’s conflicts and suffering originated with the branch of psychology that focuses on family relations. Starting in the 1960s, the family was definitely included in clinical practice with the advent of the Family Therapy systemic models (COSTA, 2010). The core premise of this approach is that the family is a living and open system under constant transformation . It is known that changes occur in the family according to the transformations in the society that comprises it . Thus, family composition is often diverse and is liable to have several arrangements. However, despite the transformations in family configurations, its foreground role remains unaltered. The family is the basis of personal development and the matrix of models and references, i.e., the foundation that manages to support its members. It is also the primary source of socialization and bonding . Thus, the family plays a key role in the treatment of all health issues, including substance-related and addictive disorders – SRAD (Substance Abuse & Mental Health Services Administration) . Drug abuse is a complex phenomenon that can be partially understood by analyzing the sociocultural and family context. Nonetheless, conflicts related to drug use cannot be understood as only originating in and influenced by the family. The other inter-relations associated with drug use must also be understood . In turn, issues of this nature often cause the family to seek treatment . Therefore, it is important to understand substance use beyond the family complaint, which often targets the user’s family and/or individual complaint . Hence, healthcare providers treating people with SRAD and their family members must consider and identify, in the family dynamics, the occurrence or absence of other disorders and issues such as medication use, mental disorders, drug use by other members of the family, and intrafamily violence [4,7]. It is known that family members involved with a person with SRAD are at higher risk for other issues such as stress and emotional and physical strain compared to those whose families do not undergo this hardship. Moreover, negative emotional involvement and dysfunctionality and fusion/entanglement characteristics have been identified in the family dynamics [8-11]. A Brazilian study reported work and emotional overload, self-negligence, and medication use associated with high codependency among family members who sought the help of a support hotline . Codependency comprises maladaptative strategies related to non-prioritizing attitudes and excessive focus on the substance user that may lead to health and emotional harm . In addition, this group of families exhibited difficulties in communication, in interaction style and behavior control, and problem-solving [14,15]. Children of alcoholics are more likely to have problems with alcohol and other drugs, controlling emotions, and suffering. Impaired academic performance and communication were also observed . Adult sons and daughters, in turn, used depressive and aggressive coping strategies to deal with their parents’ alcohol consumption . It is worth pointing out that studies have shown that family members of drug users may have difficulties in balancing their own lives and health and, at the same time, help the family member . Persons with SRAD are characterized by tolerance and compulsion towards drug use, withdrawal symptoms, spending time as a function of the substance, leaving pleasurable and routine activities, losing control over use and having personal, occupational, economic and health issues deriving from the consumption . Furthermore, such compromises increase the risk of co-occurrence of psychiatric disorders [19,20]. Regarding harm to the family system, it is observed that each substance can impact the family in a different way. Alcohol addiction may impair conjugal and parental relations, such as the occurrence of domestic violence . Cocaine or crack consumption causes irritation, aggressiveness, impatience, and suspicion, which impacts the quality of interaction and leads to the loss of family bonds . Marijuana use may set off a motivational syndrome, which affects the user’s participation and integration in the family’s daily life and the relation with work . Certain steps may manifest in families that live with SRAD and the effect the family members suffer with this issue corresponds to the difficulties experienced by the drug user in the family. Thus, the family may undergo four stages as possible response patterns in face of substance use . Denial: Defense mechanism, used in periods of tension and disagreements, in which people keep from saying what they actually think and feel about the problem. Subsequently, the family shows heightened concern and attempts to control the use of drugs, as well as its physical, emotional, occupational and social consequences. In this phase, it is common not to discuss the matter and maintain the illusion that the substance use is not causing problems in the family. Next, family disorganization commonly occurs: The family members may take on strict, predictable roles and serve as facilitators to drug use. Therefore, while attempting to solve the problems, commonly severe, the families may take on the responsibility for attitudes that are originally the user’s, who, consequently, misses the chance of realizing the consequences of his or her behaviors . The inversion of roles and functions is also commonly observed. Finally, the family often lives the emotional exhaustion process, which may set off disorders both at the emotional level and in behavior and health. Feelings such as anger, resentment, impotence, revolt, guilt, shame, despair towards unfulfilled promises by the family member with SRAD to stop using drugs, and a negative outlook for the future are usually present in these families . They may also face other difficulties such as financial issues, arguments, lack of boundaries between generations, role inversion, enhanced family myths, secret loyalty in face of disorder and inadequate conduct, and ambivalent communication [15,23,24]. When facing this dynamics, family members commonly seek help in an attempt to solve the problems deriving from SRAD, particularly if the drug user is not able to change the consumption behavior despite the damage. This represents an important possibility of accessing, even if indirectly, the user, besides of directly contacting the family member who, not uncommonly, is suffering [6,24,25]. It is known that interventions in the family system may favor changes in the family and in the individual (user) . Thus, including the family in the treatment of drug users has been increasingly indicated . Three theory models to treat families with SRAD will be presented according to the authors PAYÁ and FIGLIE, 2010: family disease, systemic, and behavioral. The family disease model considers problematic drug use a disease that impacts not only the person with SRAD, but the family as a whole. This understanding spawned from the Alcoholics Anonymous (AA) support groups in the 1940s since it was identified that alcohol addiction by the husband influenced the onset of certain symptoms in their wives and/ or partners. This phenomenon initially served as basis for the codependency model . This way, the participation of family members in support groups such as Al-Anon (Family Members of Alcoholics Anonymous), Nar-Anon (Family Members of Narcotics Anonymous), and Tough Love was proposed. The aim of those groups is provide family members with knowledge on the effects of substance use, besides discussing the impact of this problem on the family. The participation of family members in these meetings is widely used in therapy programs. However, studies on the efficacy of this treatment model are still insufficient . Another model that stands out is the systemic, which understands the family from the standpoint of the General Systems Theory developed by the biologist Ludwig von Bertalanffy between the 1950s and 1970s. This model understands the family as a set of interdependent and interacting elements, or a group of units combined that make up an organized whole. Hence, systems must be understood globally and involving all interconnections of their parts . This way, the family can maintain homeostasis between substance use and family functioning. From this perspective, the family member with SRAD exerts a functionality within the family environment and changing this function leads to disorganization of the relations and performance of the other family roles . The third model, behavioral, is based on learning theory, which emphasizes operant conditioning, i.e., voluntary behaviors that can be changed by altering the reinforcement contingency . It is understood that family interactions may be one of the factors that influence substance use besides neurobiological aspects related to chemical addiction [20,31]. Thus, it is important to instruct the change in behavior also of the family members using techniques such as contract and management of the contingency by associating reinforcements with healthy behaviors . Family members of drug users may develop maladaptive behaviors such as codependency to address drug-related problems as an interactional problem related to a model of family relationship established early on. The cultural role of females who are trained as caregivers of the elderly, children, and sick people is an important reason for understanding the relationships of the majority of women to their family members. It paves the way to a complex of maladaptive alternatives to solving a problem, that create negative emotions for the individual experiencing codependency, who is and feels out of control, and may enable the user’s using behavior. In addition, families with high level of codependency present altered family functioning as self-neglect, self-sacrifice, and more frequently present health problems when compared to families with low codependency index . Therefore, codependency is a family dynamics factor that may be targeted by behavioral interventions to prevent harm to the quality of life of the family members . The TMMFDU is based on the theoretical perspective on motivational interviewing and stages of change, nowadays widely used in different behavioral and clinical issues. In this way, a motivational intervention for change of codependent behaviors of family members of drug users was developed to be used through telemedicine. In a randomized clinical trial the Tele-intervention Model and Monitoring of Families of Drug Users (TMMFDU) based on motivational interviewing and stages of change (n=163) was more likely to modify the codependent behaviors when compared to the usual treatment. TMMFDU or the usual telephone-based treatment to family members were given in nine sessions planned so that each call had a specific goal were evaluated after 6 months of follow-up. The main result was that family members with high codependency allocated to the intervention group (TMMFDU) had two times higher chance to reduce codependent behaviors among family members of drug users than the usual support to family members . Therefore, it is important that not only the drug user but also their family members receive specialized care to facilitate the recovery process and The Tele-intervention Model and Monitoring of Families of Drug Users provides a way of involving family members who have resistance to change due to the characteristics of codependency through a motivational approach. This tele-intervention uses open ended questions and empathy to understand family functioning and applies reflective listening and decisional balance techniques as the method for changing codependent behaviors. It has been seen that the motivational interview (MI) is widely used for users of alcohol and other drugs with effectiveness and should also be applied to family members in drug abuse programs . American Psychiatric Association (2014) Manual DiagnÃÂ³stico e EstatÃÂ­stico de Transtornos Mentais (DSM-5R). 5 ed. Porto Alegre: Artmed. Barrowclough C (2001) Randomized controlled trial of motivational interviewing, cognitive behavior therapy, and family intervention for patients with comorbid schizophrenia and substance use disorder. Am J Psychiatr 158: 1706-1713. Bloch DA, Rambo AO (1995) inÃÂ­cio da terapia familiar: temas e pessoas. In: ELKAÃÂM, M. (Org.). Panorama das terapias familiares. TraduÃÂ§ÃÂ£o de: E. C. Heller. v. 1. SÃÂ£o Paulo: Summus. Trabalho original publicado em, pp: 17-56. Boarini ML (2003) Refletindo sobre a nova e velha famÃÂ­lia. Psicologia em Estudo, MaringÃÂ¡, pp: 1-2. Bortolon CB (2010) AvaliaÃÂ§ÃÂ£o das crenÃÂ§as codependentes e dos estÃÂ¡gios de mudanÃÂ§a em familiares de usuÃÂ¡rios de drogas que ligaram para um serviÃÂ§o de teleatendimento. Revista da AMRIGS, Porto Alegre 54: 432-436. Bortolon CB (2016) Family functioning and health issues associated with codependency in families of drug users. Revista CiÃÂªncia e SaÃÂºde Coletiva 21: 101-107. BortolonCB, Barros HMT (2016)A danÃÂ§a da famÃÂ­lia na dependÃÂªncia quÃÂ­mica. IN: Poletto M, De Souza APL; Koller SH (Org.) Escola e educaÃÂ§ÃÂ£o. PrÃÂ¡ticas e reflexÃÂµes, pp: 177-186. Bortolon CB, Moreira TC, Signor L, Guahyba BL, FigueirÃÂ³ LR, et al. (2017) Six-month outcomes of a randomized, motivational tele-intervention for change in the codependent behavior of family members of drug users. Subst Use Misuse 52 : 164-174,. Bowlby J (1989) Uma base segura: aplicaÃÂ§ÃÂµes clÃÂ­nicas da teoria do apego. Porto Alegre: Artes Medicas. Caballo V (2002) Manual de TÃÂ©cnicas de Terapia e ModificaÃÂ§ÃÂ£o do Comportamento. SÃÂ£o Paulo: Santos. Carrol K, Onken L (2005) Behavioral therapies for drug abuse. Am J Psychiatr 162: 1452-1460. Costa LFA (2010) Perspectiva sistÃÂªmica para a clÃÂ­nica da famÃÂ­lia. Psicologia: teoria e pesquisa 26: 95-104. Dackis C, OÃ¢ÂÂBrien C (2001) Cocaine dependence: a disease of brainÃ¢ÂÂs reward centers. J Subst Abuse Treat 21: 111-117. Dear G, Roberts C (2000) The Holyoake Codependency Index: investigation of the factor structure and psychometric properties. Psychol Rep 87: 999-1002. Dear G, Roberts C (2005) Validation of the Holyoake Codependency Index. J Psychol 139: 293-313. 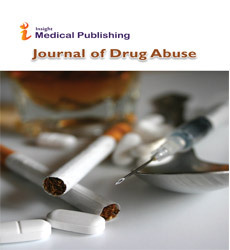 Denning P (2010) Harm reduction therapy with families and friends of people with drug problems. J Clin Psychol 66: 1-11. Diniz BM, Couto-pereirANS (2013) A DependÃÂªncia QuÃÂ­mica pela Abordagem da Biologia. In: BORTOLON, C. B. et al (Org.) Abordagem Multidisciplinar da DependÃÂªncia QuÃÂ­mica. 1 ed. SÃÂ£o Paulo: GEN, 2013. Jarmas AL, Kazak AE (1992) Young adult children of alcoholic fathers: Depressive experiences, coping styles and family systems. J Consult Clin Psychol 60: 244-251. Kaufman E, Kaufman P (1985) Family system variables in alcoholism. Alcoholism: Clinical and Experimental Research 8: 4-8. Kaufman E, Kaufman P (1979) Family therapy of drug and alcohol abuse. New York: Gardner Press. Minayo M, Shenker MAA (2003) implicaÃÂ§ÃÂ£o da famÃÂ­lia no uso abusivo de drogas: uma revisÃÂ£o crÃÂ­tica. CiÃÂªncia e SaÃÂºde Coletiva 8: 299-308. Minayo M, Shenker M (2004)A importÃÂ¢ncia da famÃÂ­lia no tratamento do uso abusivo de drogas: uma revisÃÂ£o da literatura. Caderno de SaÃÂºde PÃÂºblica, Rio de Janeiro 20. Moreira TC (2013)Quality of life of users of psychoactive substances, relatives and non-users assessed using the WHOQOL-BREF. CiÃÂªncia e SaÃÂºde Coletiva 18: 1953-1962. Orford J (2010) Family members affected by close relative`s addiction: The stress-strain-coping-support-model. Drugs: education, prevention and policy 17: 36-43. OsÃÂ³rio L, Do valle M (2009) (Org.). Manual de Terapia Familiar. Porto Alegre: Artmed. PayÃÂ¡ R, Figlie NB (2010) Abordagem Familiar em DependÃÂªncia QuÃÂ­mica. In: FIGLIE, NB Bordin, S Laranjeira, R Aconselhamento em DependÃÂªncia QuÃÂ­mica. SÃÂ£o Paulo: Roca. Prest L, Berson MJ, Protinsky HO (1998) Family of origin and current relationship influences on codependency. Fam Proc 37: 513-528. Steinglass P (2009) Systemic-motivational therapy for substance abuse disorder: an integrative model. J Fam Ther 31: 155-174. Seleghim MR (2011) VÃÂ­nculo familiar de usuÃÂ¡rios de crack atendidos em uma unidade de emergÃÂªncia psiquiÃÂ¡trica. Revista Latino-Americana de Enfermagem 19. Sher KJ (1991) Characteristics of children of alcoholics: Putative risk factors, substance use and abuse and psychopathology. J Abnorm Psychol 100: 427-448. Substance Abuse and Mental Health Services Administration (2005) Substance abuse treatment and family therapy. A Treatment Improvement Protocol - TIP 39: Substance abuse treatment and family therapy. Rockville: Center for Substance Abuse Treatment. Miller RW, Meyers RJ, Tonigan S (1999) Engaging the unmotivated in treatment for alcohol problems: A comparison of three strategies for intervention through family members. J Consult Clin Psychol 67: 688-697. Weckowicz TE, Ludwig Von Bentalanffy (1901-1972): A Pioneer of general systems theory. University of Alberta Center for Systems Research 80: 1989.